How to be more productive in the morning. Of course, it involves coffee. Is it possible even? We know, it's the worst. What does your morning routine look like? Are you a ‘get up and go’ morning person, or a ‘don’t speak to me yet’ slow riser? Now that we’re heading into winter, it’s getting harder to get out of bed with anything resembling enthusiasm, so here are some tips for how to be more productive in the mornings – for those of us who require coffee before we start feeling vaguely human! *Disclaimer: We know parents are scoffing at this article, we realise your little humans make you super productive in the mornings. We hope coffee helps a tad. Above all else, always keep good coffee in the house. That sinking feeling when you realise there are no good beans in the house. No, I have no idea what that feels like, I never let that happen. Whether you need to pop in to your favourite local roastery on your way home from work or order beans online from the amazing companies that do such things, don't be left without your favourite form of caffeine in the house. A good coffee to start the morning makes all the difference. If you can get into the habit of preparing the night before, you’ll encounter less obstacles the next morning when you’re tired and have trouble making decisions. If you’ve already laid out your clothes for the day, sorted your kids' school stuff, know what you’re going to have for breakfast, set out everything you need for your first coffee, and made a list of the day’s ‘to do’ tasks, you don’t have to be firing on all cylinders and yet you’ll already have achieved half of what you need to get done. When you start your day productively, the rest of it will usually fall in line. You might wake up early, but if you generally find yourself mindlessly scrolling through Instagram or Facebook and before you know it, 30 minutes have passed, this one’s for you! When you wake up, force yourself not to pick up your cellphone. Your phone is quicksand! If you open your email, you’ll be sucked into the vacuum of tasks and to do’s. Don’t procrastinate starting your morning by falling into a black hole of social media and work worries. You’ll be far more productive if you set a time that you’re allowed to pick up your phone again, and then stick to it. You start your day on the back foot if you’re pressing snooze for five more minutes…every five minutes. So, set one alarm, make sure it’s across the room so that you have to physically get up, and then head straight for the kitchen. If you’ve prepped your coffee routine the night before, everything should be ready and waiting so that your morning caffeine kick doesn’t take much to get going. While you’re waiting for your coffee to brew, enjoy the quiet time and appreciate those few minutes of having nothing to do but wait. 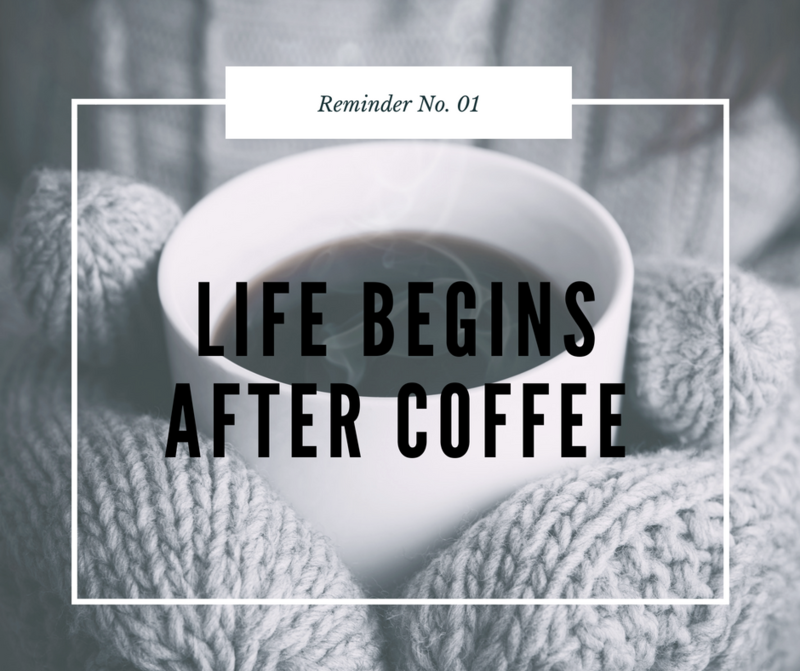 Then, when you’ve got your coffee in hand, reward yourself for not hitting snooze by taking the time to enjoy drinking it. You’ll carry that moment of calm and relaxation with you through the rest of the day. Either spend 10-15 minutes reading something – preferably a good book and not your emails – or writing down your thoughts. Getting your thoughts down on paper can help to clear your mind of any worries so that you’re not starting the day feeling overwhelmed. Sometimes referred to as ‘morning pages’, these notes are just for you – to get your thoughts in order. Both the act of writing and reading can be considered creative, and it’s said that satisfying your creative side can reduce stress – definitely a good way to start the day. What are your top tips for a morning routine that fosters a more productive day?